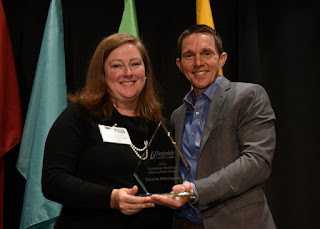 Reynolds’ workforce development partnership with John Tyler Community College, the Community College Workforce Alliance (CCWA), walked away with three outstanding recognitions at the recent VCCS Annual Workforce Development HIRE Education Conference in Roanoke. 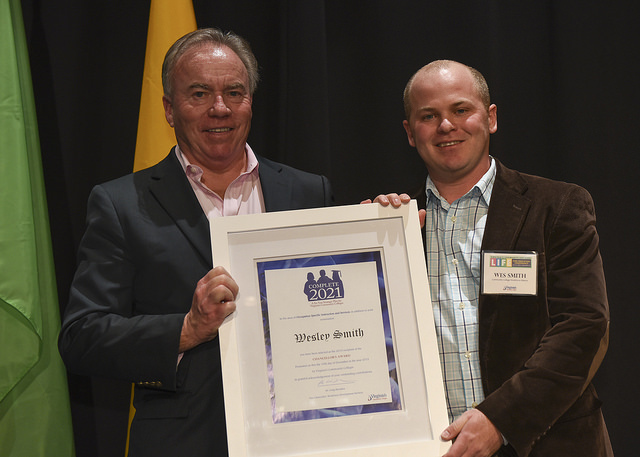 Wes Smith was awarded the Chancellor’s Award for Occupation-Specific Instruction and Services. The Chancellor’s citation noted that Wes spearheaded CCWA’s Higher Education Equipment Trust Fund submission to acquire a mobile Advanced Manufacturing Learning Lab, working with several vendors to appropriately outfit the lab with equipment for maximum utility and flexibility. The outcome of his efforts is a vehicle capable of delivering a myriad of instructional offerings from hands-on CNC, PLC, electronic, hydraulic, pneumatic, and mechatronics training to information technology instruction. Simultaneously, in support of CCWA’s focus on credentials, Wes initiated the credentialing of instructors in support of the Virginia Manufacturing Association’s Manufacturing Technician I and has now offered the course three times with excellent results (46 credentials being awarded). 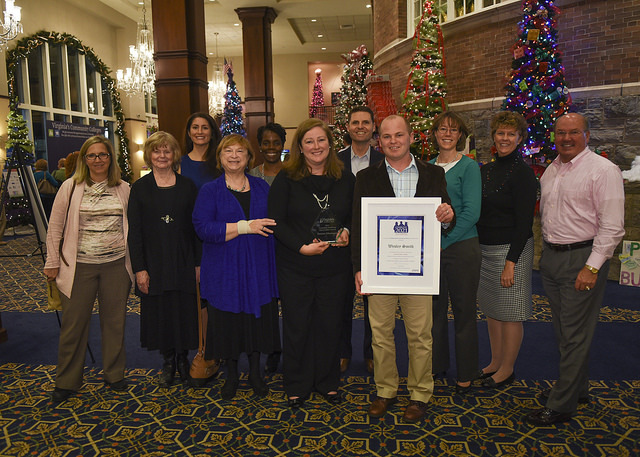 As a direct result of his work with the industry, CCWA has been recognized as VMA’s Partner of the Year. Additionally, Wes led the grant writing and coordination effort with a four-college submission to the United States Department of Labor which resulted in a $2.9 Million American Apprenticeship grant. Wes will supervise this five-year grant with a target to create 300 apprenticeships in the region. Suzanne Etherington was awarded the Expanding Opportunities Award. The citation noted that in addition to being a leading contributor to CCWA’s success through her execution of duties as a Client Solutions Manager, she was directly responsible for CCWA becoming the principal out-sourced training department for a major national employer. Through this partnership, Suzanne has led CCWA’s transition from providing and/or identifying training courses to CCWA establishing the company’s corporate career and professional development programs. Additionally, she was instrumental in developing a major manufacturing corporation’s international training program and leading the company to launch an apprenticeship program being delivered through the academic divisions of the colleges. Suzanne also developed a strong relationship with the headquarters of a state agency which has resulted in CCWA designing the agency’s e-learning program. 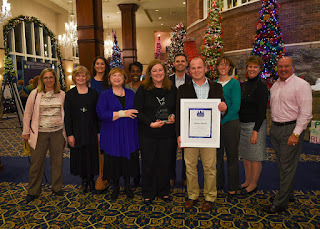 Finally, the CCWA team walked away with the Institutes of Excellence Award. This award goes to the college that uses seed funds from the VCCS to develop new curricula and/or programs to provide new services to clients. CCWA used funds to develop a new series of Project Management Professional (PMP) certification training and to develop a certification assessment system for the Virginia Fire Marshal. This online system allows companies who desire to use explosives in Virginia to gain the required certification. Natalie Meredith, Suzanne Etherington and Dave Morales were the principal contributors to these efforts. Reynolds recently recognized 49 students who completed the Associate of Applied Science degree in Nursing. Held in the Lipman Auditorium of the Massey Library Technology Center, the ceremony opened with a welcome by Reynolds President Dr. Gary Rhodes and inspirational words from Melanie Green, PhD, RN who serves as the Vice President and Provost at Bon Secours Memorial College of Nursing. 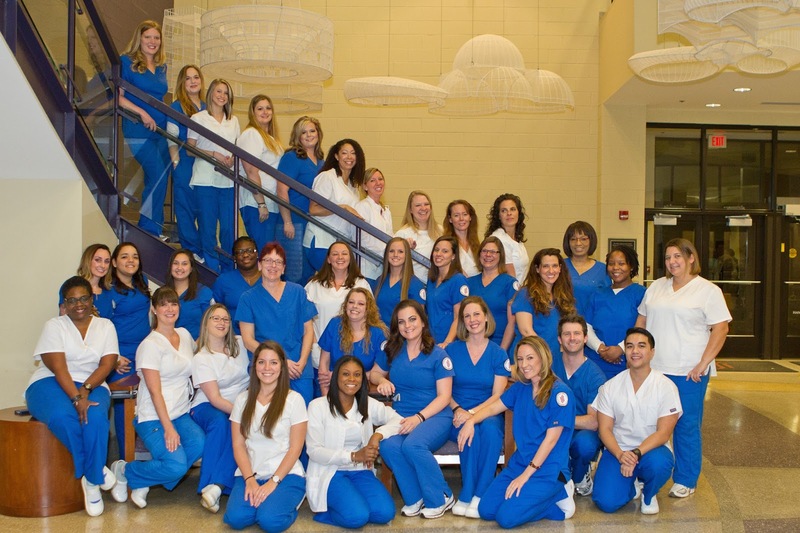 The Reynolds’ Nursing Program is designed to prepare its students to serve as collaborative members of nursing care teams and to provide direct care to patients in a variety of health service facilities and agencies. Upon satisfactory completion of the program, students are eligible to take the licensing examination to become Registered Nurses. 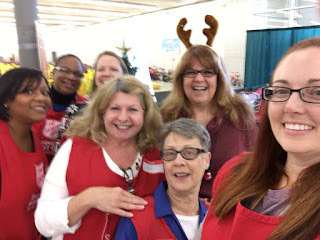 The Program for Adults in Vocational Education (PAVE) Club, which develops leadership and social skills for students in the PAVE program, sponsored a Toys for Tots Drive to collect new toys for distribution to less fortunate children in the local community. 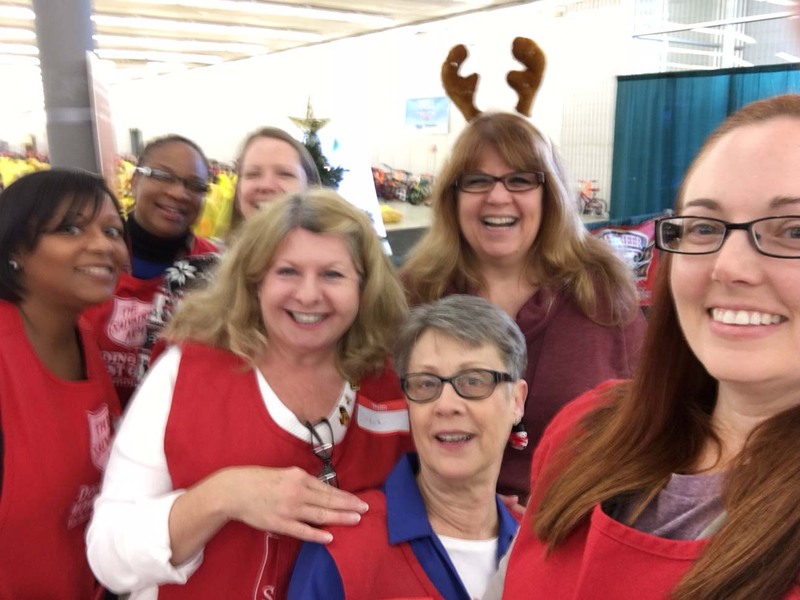 A team of 11 volunteers recruited by the Classified Council worked over 50 hours at the Salvation Army’s Christmas warehouse on December 14 and 17 helping to distribute Angel Tree gifts. According to the Salvation Army, for many kids, the gifts they receive through Angel Tree will be the only ones they open on Christmas Day. 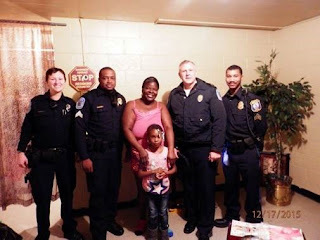 The Reynolds Department of Police also gave it’s time to the community during the holiday season as Reynolds Police Sergeant William Judon assisted the Richmond Police Department and the Virginia Attorney General’s Office in handing out gifts to 52 children in the City of Richmond. The Reynolds shuttle was used to transport bikes and other gifts in Church Hill. Reynolds Professional Administrative and Faculty Senate (PAFS) sponsored a school supply drive for Lakeside and Westover Hills Elementary Schools, collecting supplies to restock shelves with fresh notebooks, crayons, paper, glue, markers, pencils, etc. for the students when they return to school from winter break. The drive was a HUGE success with just under 3,000 items--enough to fill up two cars delivered on Thursday, December 17. Finally, keeping warm in the months ahead is challenging for some in our community. To fill this need the Classified Council placed Warming Trees on each campus seeking donations of new hats, gloves, mittens, etc. in a range of sizes from infants to adults. More than 500 items were collected and delivered to the Salvation Army on Monday, December 21. A heartfelt thank you to all who donated and volunteered to make the season bright and warm for others!